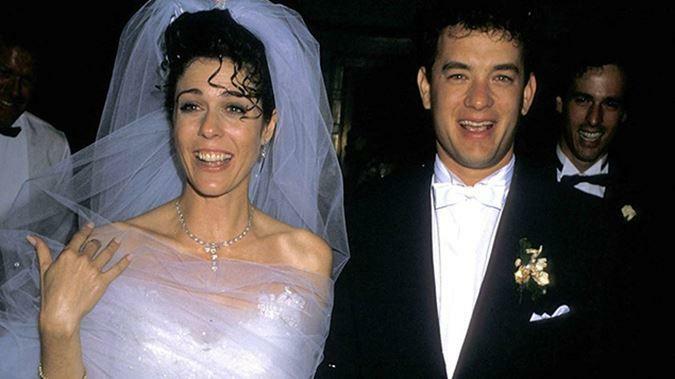 Tom Hanks, an American actor and his wife Rita Wilson celebrated their 30th wedding anniversary. Eminent personalities such as Kate Hudson, Martin Short, Isla Fisher Oprah Winfrey, Barack Obama, Kurt Russell, Goldie Hawn, Jimmy Kimmel and Conan O'Brien were present their on Saturday night. All the stars gathered at Tom Hanks and Rita Wilson's Pacific Palisades house. According to an eyewitness, the party began at 7 p.m. and went until close to midnight. Other stars including Jimmy, Conan, Goldie, Kurt and Martin were all spotted hanging out as they waited at the valet. The couple is most beloved in Tinsel Town, they went on a vacation with Oprah and the Obamas in April 2017. In an interview with E! news Wilson said, "I always thought my husband is a work of art, but now there's proof that he's a work of art," Wilson gushed. "He's amazing. It's fantastic and it's celebratory and I have to say I think his films all over the years have meant a lot to a lot of people. I think there's something to be said about the choices of the films that he's done and as a collective thing it's pretty nice and pretty impressive." The couple also has two sons, Chester "Chet Haze" Hanks and Truman Hanks, together.